I put this DIY nautical towel holder together with a few cleats from Home Depot and some jute rope I had left over from another project. 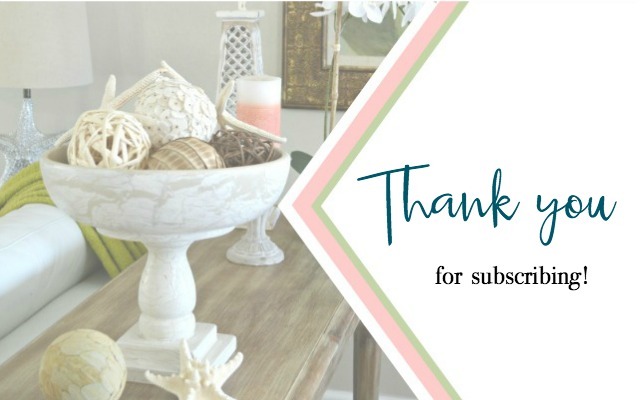 It puts the finishing touch on my coastal bath makeover! 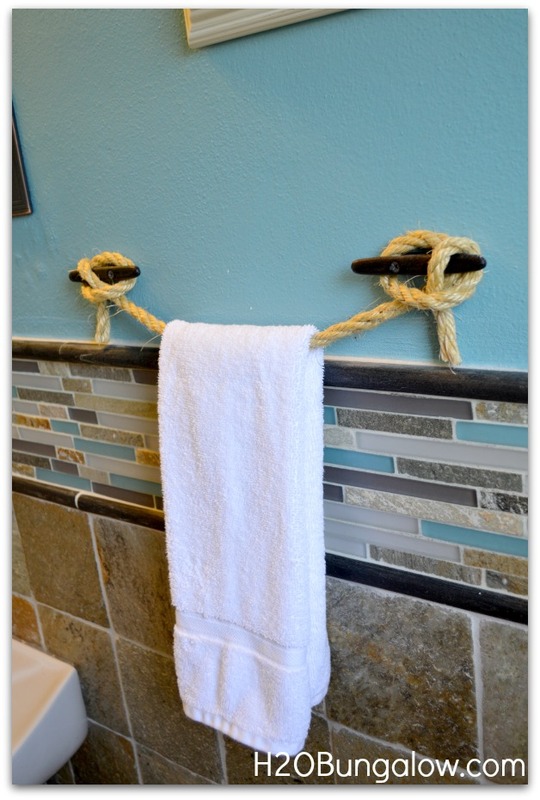 Adding a nautical rope towel holder like this one is easy and it works great for hand towels or bath towels. This little half bath has no extra space. It’s so tiny your knees almost hit the sink from the commode. No kidding! Using nautical rope as a towel holder worked well for us because it didn’t stick out far from the wall. I don’t think I could have fit a store-bought hand towel bar as well in the tight space I had to work with, even if I’d wanted to. If you happened to be Girl Scout or Sea Scout at one time you’d probably show me a thing or two about knots. If not, then here’s what I did to attach the rope to the cleats. The next two pictures show how I made the knot around the cleat. 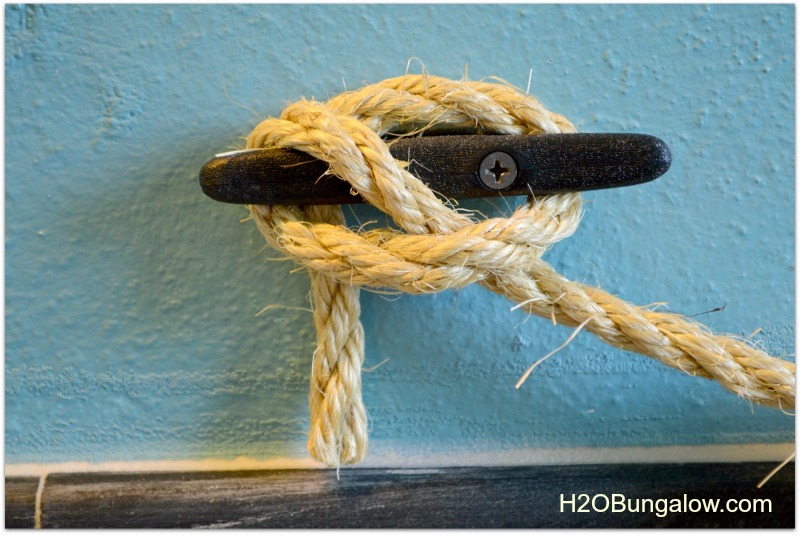 First, here is a closeup of just the knot on my DIY nautical towel holder. This is the same picture. I’ve added arrows and directions on how I made the knot. This knot will hold your towels without slipping off of the cleat. Do the same for the other end of the towel holder. I like the nautical rope and cleat for a unique way to hang hand towels. Boating, and sailing in particular are a big part of our life here in FL. 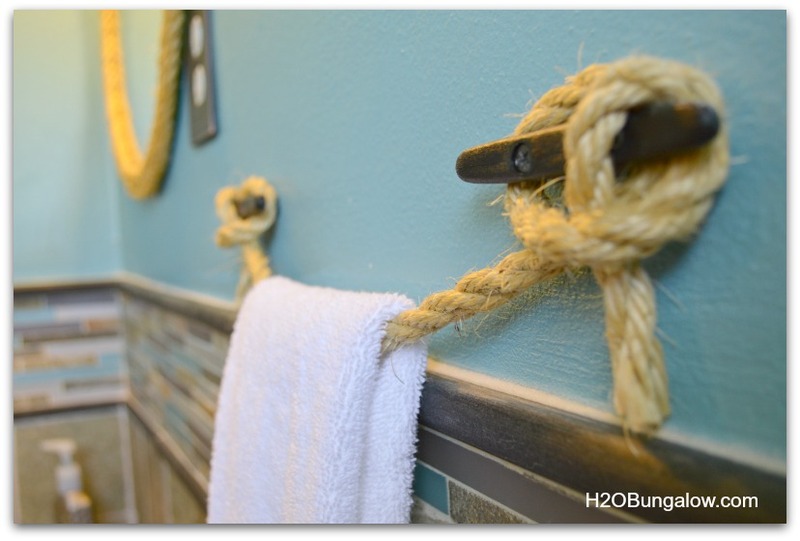 My DIY nautical towel holder was a fun way to bring our love of boating indoors. The nautical rope towel holder works beautifully with my copper fixtures too. If you haven’t seen my reinvented copper toilet paper stand for this half bath you can read all about it HERE. It’s gorgeous, and you’d never believe it was plain chrome in its earlier life! 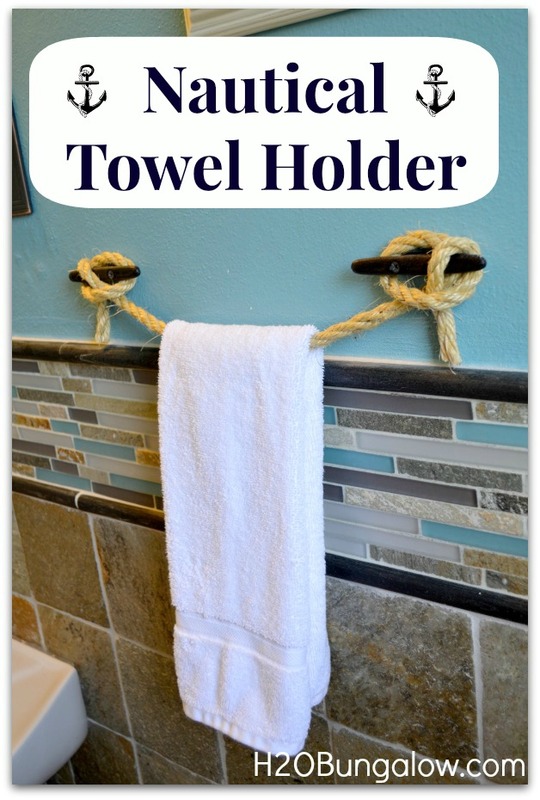 I would have liked to show you more pictures of my DIY nautical towel holder in my little half bath…but that would spoil my big reveal for Monday 🙂 So until then my friends..
You may see me linked up to some fabulous link ups which you can see here. What size cleats did you use on this? And what is the distance between the two cleats? Hi Chase, The cleats are 4″ and there is 9″ in between the inside of the two cleats. I’d adjust the distance for whatever type of towel you’re planning on using. Have fun! 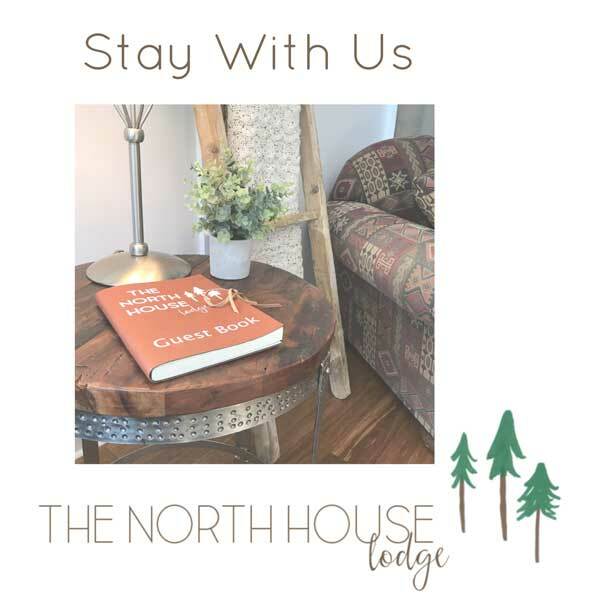 We love our towel holders and it’s held up exceptionally well! This is so cute! My son’s bedroom started with blue/white/green color them (no “theme” other than just a color scheme) but it has somewhat evolved into something slightly nautical. I love this idea…I’ll have to think of a way to incorporate into his bedroom…maybe a coat rack or some sort? Very cute. Thanks for sharing! Hi Holly, Your son’s room sounds cool. This would look great as a coat rack on a wall. Just add some “s” hooks! Thanks so much for your visit! Where was the tile blacksplash purchased? I’d love to have that pattern in my bathroom!! This is so clever and perfect. I love it! Dad…Thanks for visiting! You’ve finally seen my blog & not my FB page 🙂 LU too! Where do you buy the metal pieces? Hi Michelle, the metal pieces are called cleats. Mine are actually not metal at all, they are hard plastic. 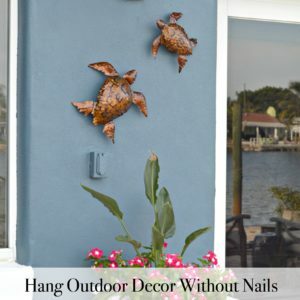 They can be found at boat supply stores in metal but I found these at Home Depot. Enjoy making the towel holder & let me know if you have any other questions! Thank you for the sweet compliment! It’s a fun way to get coastal that’s super easy and affordable. Feel free to reference my Nautical Towel Holder post with 1 photo and a direct link back to the post. Thanks so much for asking 🙂 Thanks for your visit today! Super smart idea! I seem to never be able to come up with stuff like that so I always go to the store and buy the ready made ones! Awwww thank you! I’ve been waiting a long time to use this towel holder idea. 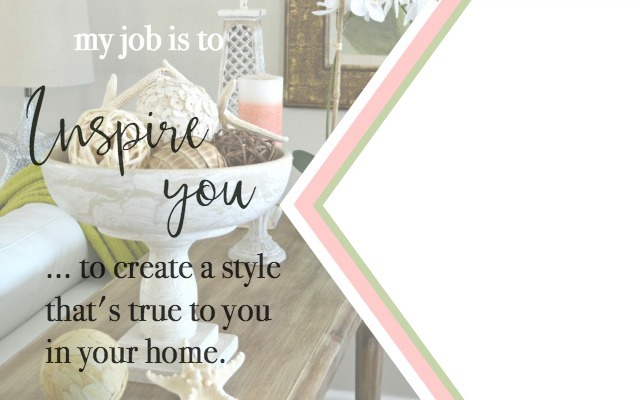 It’s been fun using unique ideas for the decor and all of them were thrifty finds or projects! Love your project! the colors of the bathroom is great! 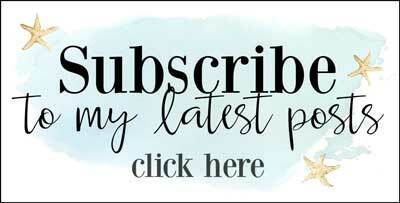 I am a new follower from the Linky Climb via bloglovin. 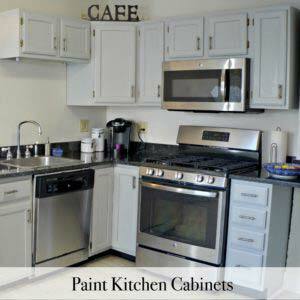 Colleen, Thank you for the compliment on the nautical bath color! I’m thrilled this project is finished. I’ll do the big reveal to tomorrow. 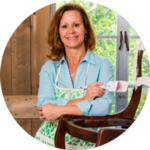 Thanks for visiting and I’ll be sure to stop by your blog and follow as well! Crystal, Incorporate this into a bath! My husband loved it too. We are a boating family and it was fun to bring it indoors! Okay, so we pretty much are the same person with the same style. ‘Nuff said.